This edition is valid until 01/06/2019. 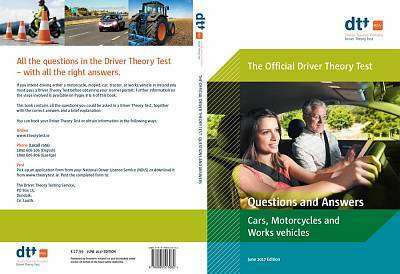 After then it will be replaced by a new edition which includes new and revised questions which will be part of the driver theory test exam from 01/06/2019. This June 2017 Edition of the revision material has been updated to include the new and revised questions. This updated material applies to All RSA Driver Theory Tests for Cars/Motorcycles (Categories AM and BW) AND the tests and study material for Truck and Bus (Categories C, D and CPC – Step 1 & Step 2).